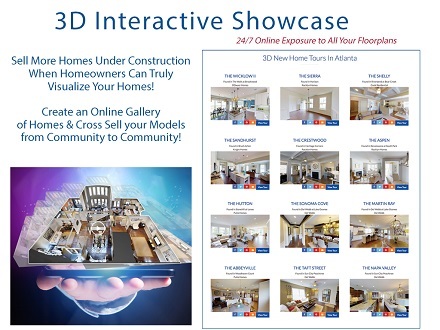 Atlanta Real Estate Forum congratulates Atlanta New Homes Directory for winning a Gold OBIE in the Best Marketing Campaign/Promotion – Associate – Budget under $10,000 category for the promotion of its new 3D Interactive Showcase. Presented by the Atlanta Sales and Marketing Council, the OBIE Awards are the premier awards given in the Atlanta new home construction industry. The new booklet promoting and explaining the 3D Interactive Showcase application has greatly simplified Atlanta New Homes Directory’s training process. It also gives the team’s clients a very clear understanding of what Atlanta New Homes Directory does as a company and what is available to clients through our system. 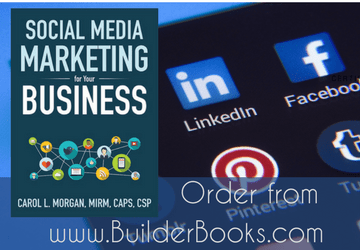 The team at Atlanta New Homes Directory is in the process of creating a training guide that will complete this book. The booklet has generated more sales by allowing prospects to see exactly what Atlanta New Homes Directory does all in one location. For more information, visit www.atlantanewhomesdirectory.com. The Greater Atlanta Home Builders Association’s OBIE Awards celebrates its 38th anniversary in 2018. The awards began in 1980 and have grown throughout the years to include more than 100 building, remodeling, marketing and personal achievement categories. The OBIE Awards are named after the obelisk shape of the actual award given. To see all of this year’s OBIE award winners, visit www.AtlantaRealEstateForum.com/category/OBIEs. Make sure to like, share and comment on this story.